All Hail The SpaceNode Spider! Many SpaceNode owners feel guilty that they don't update their website often enough, thinking it's some kind of major task to add a new article, or that the world has to end for something to be of great enough merit to write an article about. With Microblogging, you can add bits of interesting news really quickly and all the time, as and when, straight from your desktop. 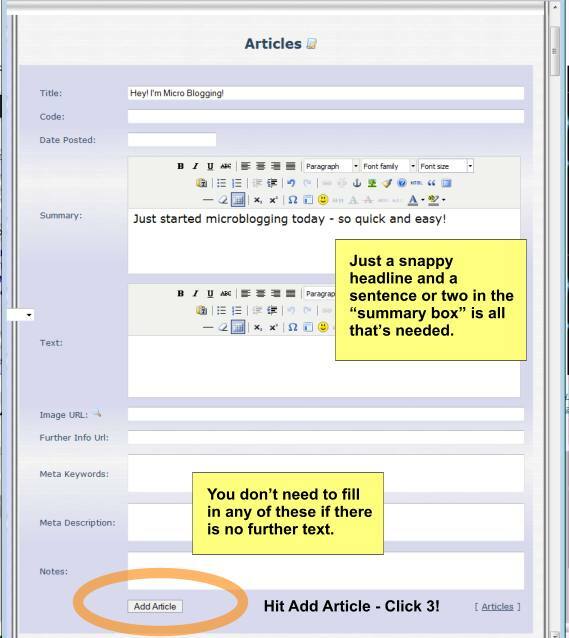 It's easy, fun, good for your site and here's how to do it - in 4 easy clicks! Tip: Find the "Add Article" hyperlink, go on it, right click and "Copy link address." Then put it in a browser to go to a "Add new article" page. When you're on the page, drag the page to your Favourites bar. 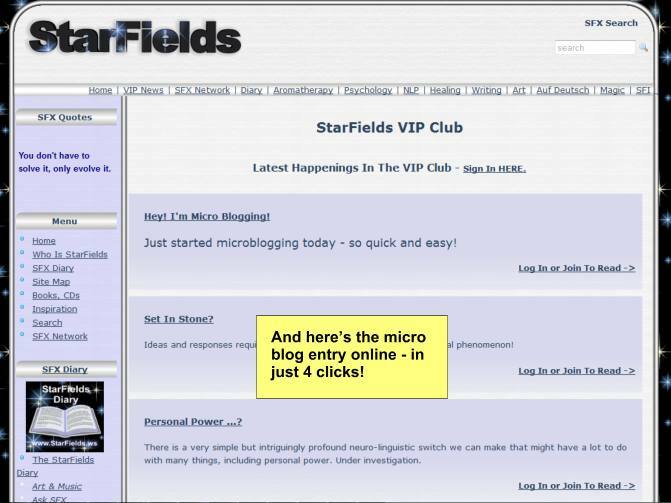 Super quick microblogging with SpaceNode. You can send these quick updates via RSS to all sorts of places like Facebook and Twitter as well. There's lots of uses for these. You can make a new article category just for microblogging and display it in a block with your longer or more serious articles as well. The main point is to keep your site up to date and get in a groove of posting new content. One last tip - you can always go back to one of the microblog articles and expand on it at a later date, if more information comes to light or you notice in the stats that the article is getting traffic. So no more excuses for updating your SpaceNode!